EU leaders gathered at the European Council in Brussels, on Saturday (30 August), to break the deadlock on EU top jobs and to respond to the escalating conflict in Eastern Ukraine. An overview of events, as they happened, is below. The summit follows an earlier attempt on 16 July, to choose the EU’s future leadership, when heads of state gathered in Brussels to discuss who could replace Herman Van Rompuy and Catherine Ashton. The July summit ended in a deadlock and Juncker asked heads of state to reconsider their stance over the summer. National leadership now returned to the table. Leaders agree on a roadmap towards new sanctions against Russia, for its involvement in the Eastern Ukrainian conflict. The President of the Commission is elected by the Parliament by a majority of its members, on a proposal of the European Council acting by qualified majority. The choice of the candidate for the Presidency of the Commission should take account of the results of the elections in the European Parliament. 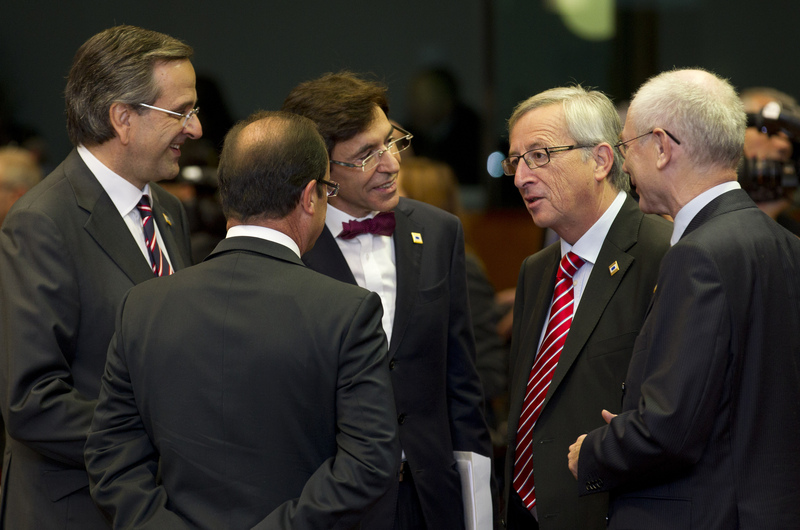 Parliament elected Jean-Claude Juncker to succeed president Barroso as head of the Commission, on 15 July 2014. Juncker was designated by EU leaders at the end of June 2014, after his centre-right EPP party became the biggest political force across EU member states, in the EU elections of that year. In consultation with the president-elect, the Council then adopts the list of the other members of the Commission. These people are chosen on the basis of suggestions made by the governments. The Commission is subject, as a body, to a vote of approval of the European Parliament. The College of Commissioners is then formally appointed by the European Council acting by qualified majority. 30 November: End of mandate of Herman Van Rompuy, president of the European Council. So presumably your timeline will need to have a fourth EUCO summit to agree the nomination of the full commission? When do you think that will be? in order to rebuild everything on new bases.